A mentor to hundreds of students, he is mourned by Portland-area writers and the Waynflete School community. 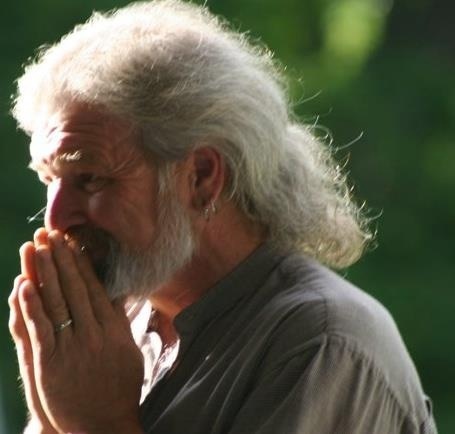 PORTLAND — The Waynflete School community and writers across the Portland area are mourning the loss of Michael Macklin, a beloved poetry teacher and carpenter who died unexpectedly Sunday while on a trip with students to the New England Young Writers Conference in Vermont. He was 62. Mr. Macklin was hired to work in the facilities department at Waynflete in 1997. There, he maintained the school’s buildings and worked on projects such as building play equipment and sets for the theater department. His constant interaction with students eventually inspired him to pursue his own passion for writing. At age 50, he returned to college and earned his bachelor’s and master’s degrees in creative writing at Vermont College of Fine Arts. Mr. Macklin then earned a position as a poetry teacher. He was a mentor to hundreds of students, inspiring them to pursue their passions and dreams. Early Tuesday, more than 300 students and faculty packed Waynflete’s Franklin Theater, where students held a tribute to Mr. Macklin. The assembly, which lasted about an hour, included students and former students reading his poetry and their original work. Several students composed and performed songs about him. One of the two students who attended the writers conference did a reading at the assembly. The wall of Mr. Macklin’s Facebook page this week was filled with dozens of messages and poems from friends, students, former students and colleagues expressing deep sadness. Mr. Macklin is survived by his wife of 20 years, Donna Pendleton of Portland. He also leaves a son, Gabe Faulkner-Macklin of Alexandria, Va.
His wife, who attended Tuesday’s assembly at Waynflete, talked openly about his passion for writing and teaching. She said they shared a great life together. She talked about their trips to Islesboro, where she has a family cabin. She said he enjoyed sitting on the deck and looking out at the harbor. Some of Mr. Macklin’s other interests included working on The Cafe Review, playing his guitar and riding his motorcycle. He also served for nearly six years on the board of directors of the Maine Writers & Publishers Alliance. Joshua Bodwell, the executive director, said he was the “poetic soul” of the board. His wife said he died in his sleep while at the writers conference at Middlebury College in Vermont.